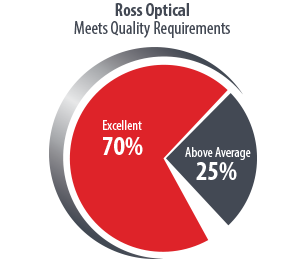 We just completed our 2018 customer survey, and Ross Optical once again received high marks for customer service, technical expertise, quality and delivery. 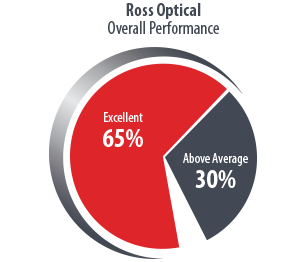 On overall performance, 95% of customers rated Ross above-average or excellent. rated above-average or excellent by 90% of customers based on our friendliness and ability to help with inquiries. 95% of our customers rated us above-average or excellent on our ability to consistently meet their quality requirements. Considering whether our quality system met their expectations, 95% of customers rated us above-average or excellent. 92% of customers say that our engineering guidance is above-average or excellent. 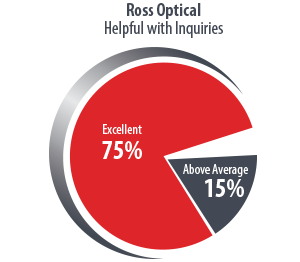 90% of customers agreed that Ross’s shipments arrived on time (above-average or excellent). 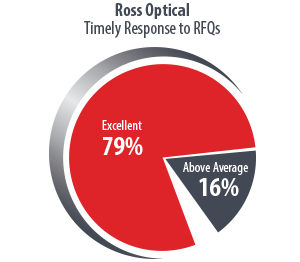 Customers also appreciated our timely response to RFQs, with 100% rating us above-average or excellent. We are always looking for ways to improve, so we are very thankful for the customers who participated in our survey.